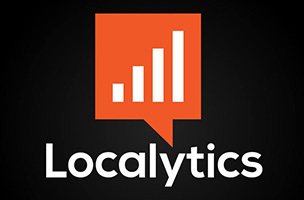 Marketing and analytics company Localytics has released its first App Stickiness Index, measuring app engagement and loyalty values across multiple app genres. Localytics defines a “sticky” app as one“whose function, content, design, and marketing drive repeat usage.” The Index measured 25,000 apps from December 2011 through Q1 2014, and focused on two main factors: an app’s power users and loyal users. In this case, a power user was defined as one who opens an app over 10 times a month, while a loyal user is one who returns to an app within three months of first opening it. The app’s final stickiness is determined as an average of the app’s power users and loyal users. The first App Stickiness Index found media and entertainment apps to lead the pack with 25 percent app stickiness, while games, travel and lifestyle, and eCommerce and retail apps all measured around 20 percent. A fifth measured category, technology, had a lesser stickiness at 16 percent. When comparing Q4 2013 and Q1 2014 specifically, the report showed power users rocketing to 30 percent after the launch of the new iPhone 5S/5C devices and the new iPad. From December 2013 to January 2014, loyal users dropped from over 20 percent to 16 percent, which Localytics says reflects both low marketing spend after the holiday season and a lack of content consumption after holiday vacations. This report joins the company’s previous data, which shows 60 percent of users who don’t use an app more than once in the first seven days, never will again. Editor’s Note: This post has been updated to reflect the correction Localytics has issued for this data.